With all the hype created around IMS and LTE, operators have started questioning network vendors if they are supporting RAN specific features for VoLTE. 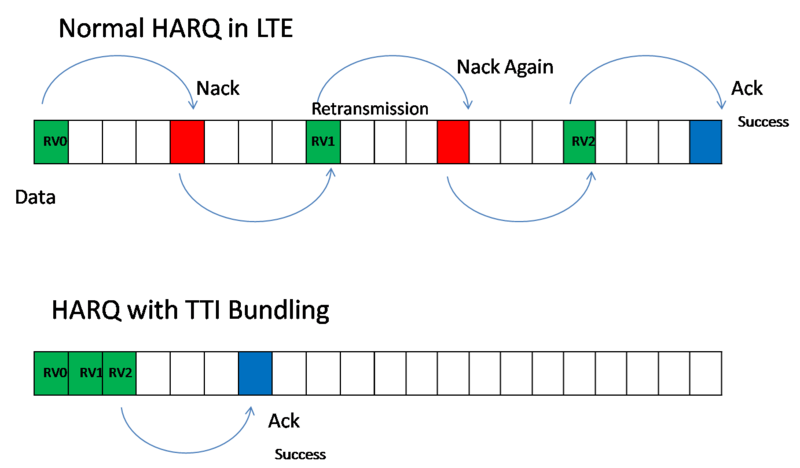 TTI bundling is one of the features among many others that can help VoIP (VoLTE) calls in LTE. 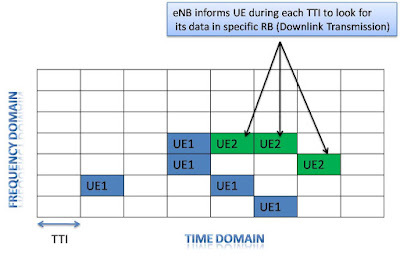 TTI Bundling is LTE feature to improve coverage at cell edge or in poor radio conditions. UE has limited power in uplink (only 23dBm for LTE) which can result in many re transmissions at cell edge (poor radio). Re transmission means delay and control plan overhead which may not be acceptable for certain services like VoIP. To understand TTI bundling one need to have the basic idea of Hybrid Automatic Repeat Request (HARQ) and Transmission Time interval (TTI). Good Explanation. Made it very simple to follow. Good explanation. Does TTI bundling happen only in DL ? Or only in UL ? Or is equally applicable to both? Thanks for the chart on explaining it visually. But will it be better to modify the example of TTI Bundling case to 4 TTI since till R11, 36.321 defined below? Or is there any misunderstanding from my side? thank you. nice explanation. Could you please explain how PDCCH usage goed down because of TTI bundling? Easy to understand, Thank you!